This photograph shows inmates William Barnes, 9061, and Bud Hudson, 9394. William Barnes was received at the Kansas State Penitentiary on October 6, 1899 from Bourbon County, Kansas. 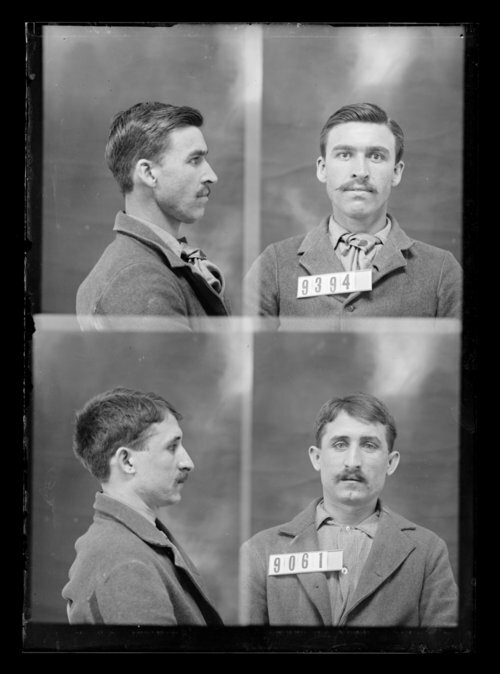 Bud Hudson was received at the penitentiary on June 4, 1900 from Leavenworth County, Kansas and was sentenced on June 4, 1900. Both men were arrested for grand larceny.